SpaceX chief executive Elon Musk tweeted that the “data looks good overall” but one of the Merlin engines — Engine No. 9 — showed thrust fluctuations during the test firing. Officials did not say how long the nine-engine first stage fired at the Complex 40 launch pad at Cape Canaveral, where the Falcon 9 took off Dec. 21 with 11 Orbcomm communications satellites before its first stage descended back to a landing zone a few miles to the south. Technicians first took the 156-foot first stage booster to launch pad 39A, an Apollo- and shuttle-era launch complex now leased by SpaceX at NASA’s Kennedy Space Center, then transferred the rocket back to pad 40 and hoisted it upright with a crane. Musk said after the Dec. 21 launch that SpaceX would fire the rocket at pad 39A, but those plans changed. 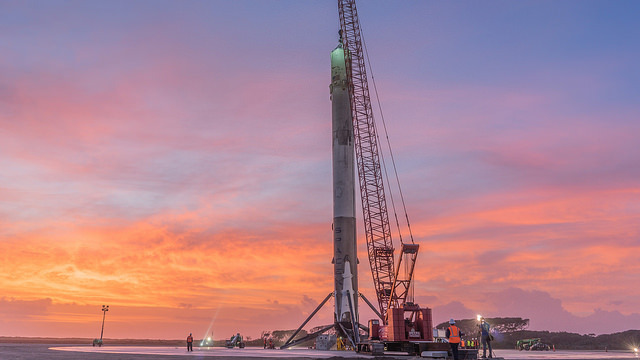 SpaceX does not intend to fly the returned Falcon 9 booster, called Orbcomm-2 in the company’s nomenclature, but engineers hope to learn how the rocket fared on its brief flight into space. Ground inspections and tests like Friday’s hold-down engine firing are crucial for SpaceX to determine how easily the first stage could be refurbished and readied to launch again. In a post to his Twitter account, Musk said the thrust fluctuations detected on Engine No. 9 could be caused by debris ingested into the engine. Musk aims to eventually refly Falcon 9 boosters with little refurbishment, a goal he says is vital to reducing the cost of space transportation and achieving his objective of sending people to Mars. The Dec. 21 launch marked the first time an orbital-class rocket took off and had its first stage return to the launch site. The Falcon 9’s second stage continued into orbit to deploy the mission’s 11 refrigerator-sized Orbcomm satellite payloads. Blue Origin, a rival space company founded by Amazon.com’s Jeff Bezos, became the first company to launch a commercial vehicle into space and return it to a vertical rocket-assisted landing in November, nearly a month before SpaceX’s achievement. Blue Origin’s New Shepard booster is smaller than the Falcon 9, and it carried no operational satellites. 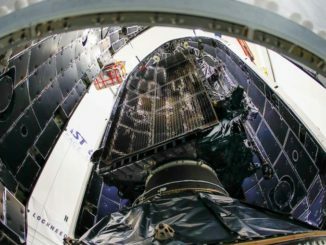 Friday’s engine firing at Cape Canaveral occurred at SpaceX teams in California prepare for the company’s next flight, a Falcon 9 rocket carrying the Jason 3 oceanography satellite for an international consortium of weather and space agencies led by NOAA and Eumetsat, the European weather satellite organization. SpaceX will use Sunday’s launch to conduct another experimental rocket landing attempt on a barge positioned in the Pacific Ocean south of the Falcon 9 launch site at Vandenberg Air Force Base. 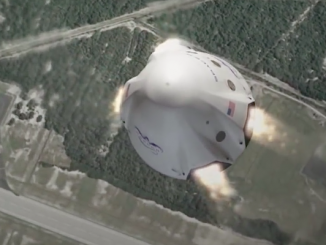 Hans Koenigsmann, SpaceX’s vice president of mission assurance, said Friday that a landing platform named “Just Read the Instructions” — named for a starship in science fiction novels penned by Iain Banks — will be the destination for the Falcon first stage. Like all of SpaceX’s rocket landing attempts, the objective is secondary to the delivery of the Jason 3 satellite into orbit, Koenigsmann said. 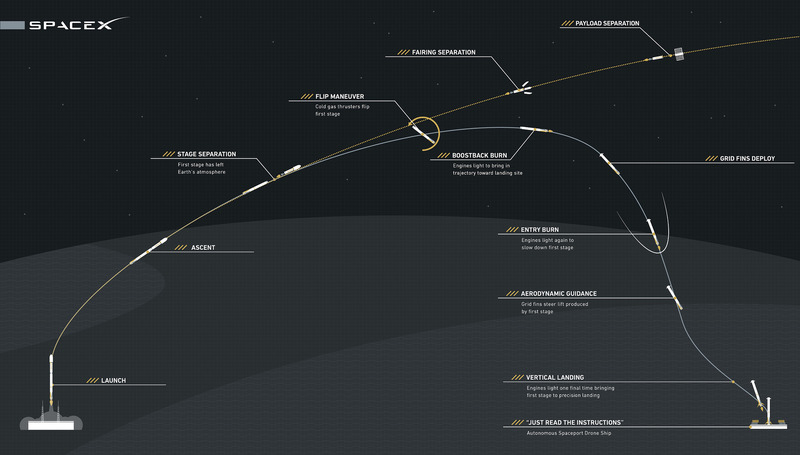 SpaceX officials said the company hopes to show the landing attempt on the live webcast of the launch. The Falcon 9 rocket set to launch Sunday is the last of SpaceX’s previous generation of boosters called the Falcon 9 v1.1. An upgraded version with higher-thrust engines, chilled propellants and enlarged fuel tanks debuted on the Dec. 21 flight from Florida and will launch on future SpaceX missions. Koenigsmann said the Falcon 9 first stage launching from California on Sunday would have enough propellant left over after its approximately two-and-a-half minute firing to power its way back to the coast. The Jason 3 satellite weighs about 1,124 pounds, or 510 kilograms, much less than the Falcon 9’s maximum lift capacity. The forecast calls for perfect weather for launch at Vandenberg, but waves of 10 to 13 feet are predicted in the recovery zone in the Pacific Ocean.